Do any of you drink these MammaChia drinks? I love them and have had em a couple times. But at $3-$4 per drink, they are a rare treat. In Des Moines I've seen them in Gateway Market and Whole Foods. 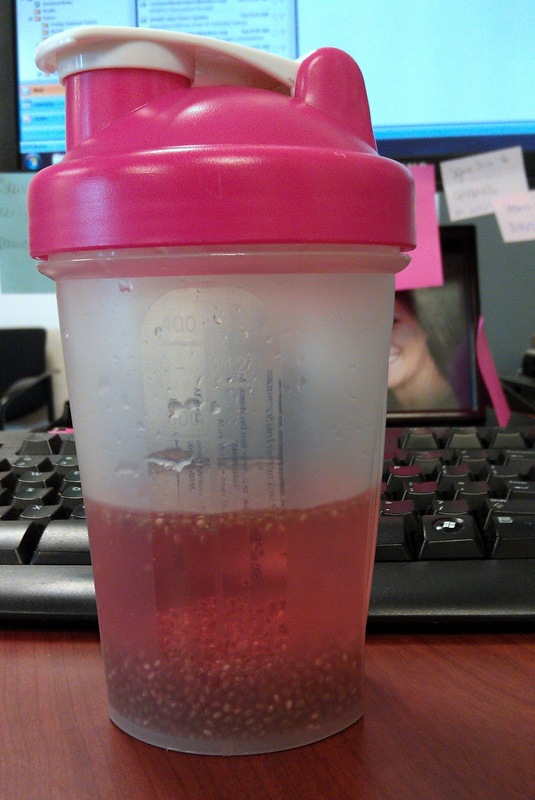 One day after I stocked up on chia seeds again I realized I could make this drink at home for pennies! I've been drinking it all week at work. I already had the flavored drink enhancer in my desk drawer, a big supply of chia seeds at home, and an empty glass spice container in the cupboard. 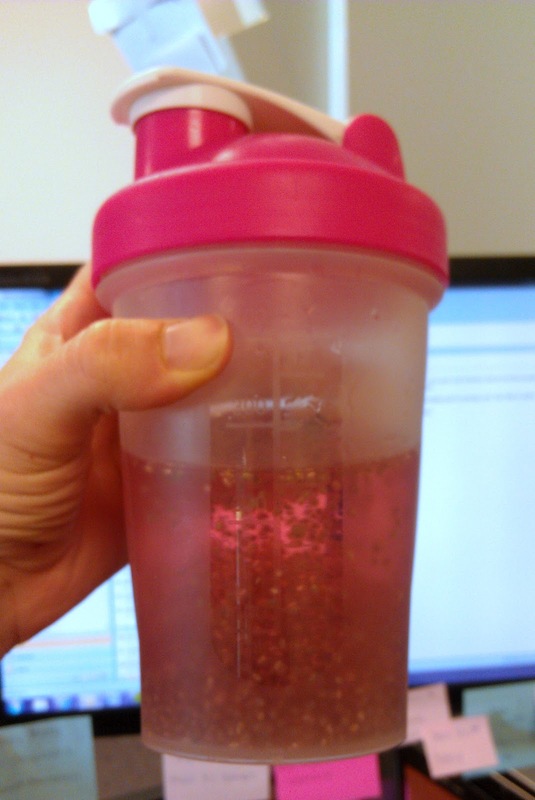 It does take a little while for the chia seeds to "gel-up" and absorb water so I just add the chia seeds and flavor, shake, and put in back in the fridge in our office for awhile. Perfect way to get my hydration and also a more fun creative way to drink plain water. 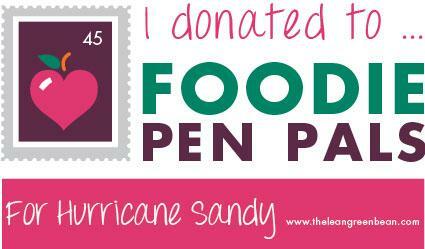 Plus I get the great benefits of the seeds. 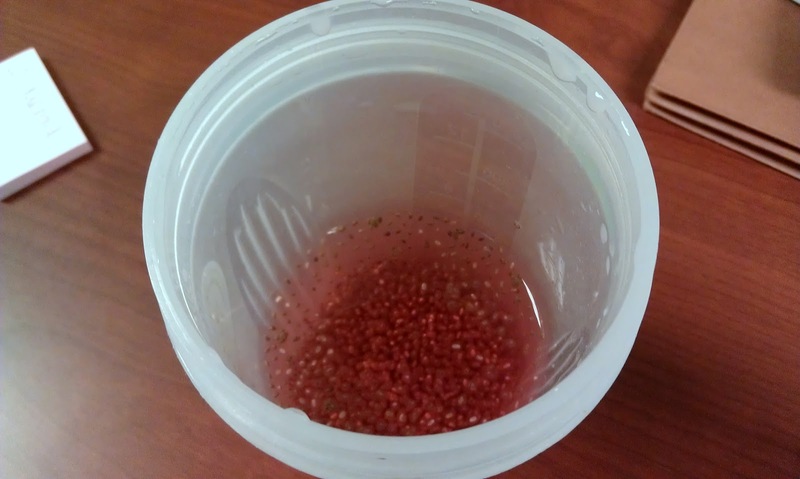 I really love the gel texture the chia seeds take on once they plumped from all the water absorption. 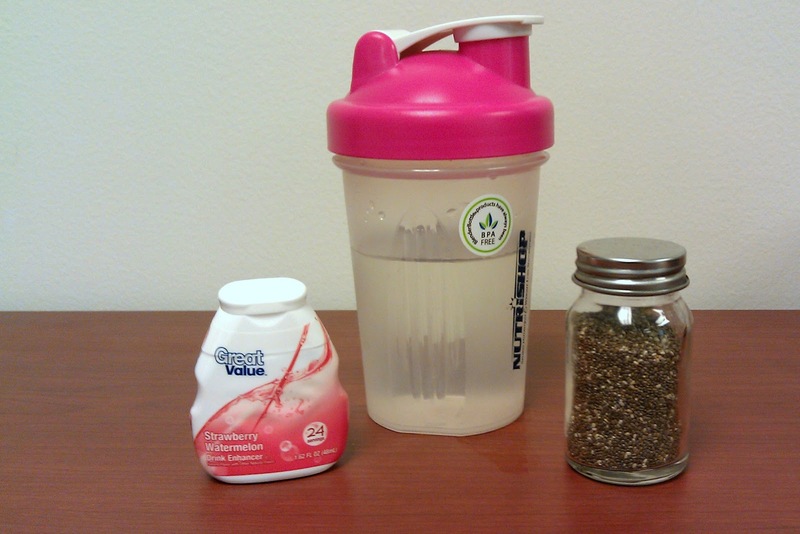 It's said that chia seeds can take on 9 times their weight in water! They also have many nutritional benefits. 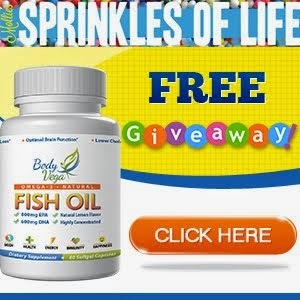 The biggest being a high volume of Omega-3 fatty acids and they are also a great source of antioxidants. You can add as little or as many chia seeds as you'd like. To my 10 ounces of water I add about 1/4 cup of seeds. Chia seeds are a little pricey so I want to have my supply last awhile. No need to buy those fancy drinks in the stores anymore. It just takes a few seconds to throw together your own version at home! The texture may not be for everyone, but I love it! Try it and let me know what you think! Add chia seeds and flavor enhancer to the water. Shake. Allow about 20-30 minutes for the seeds to take on water. 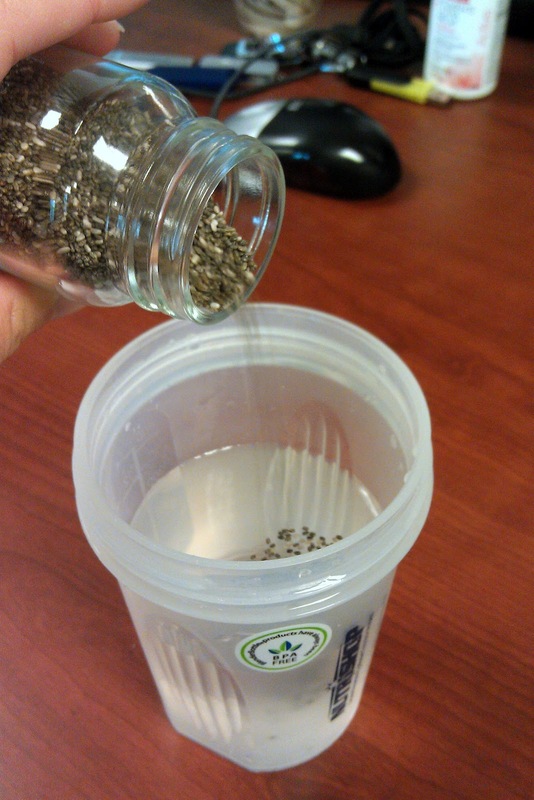 You could also do this with plain water as chia seeds really don't have any flavor. Also, try Chia Pudding that I posted earlier this year.